We all know Himachal Pradesh as the ultimate summer stoppage or the perfect honeymoon destination. An ideal mix of snowfall, trekking trails, rich wildlife, beautiful hills, colourful meadows and charming monasteries, this surreal state is always on the bucket list of every traveller or tourist, who looks forward to exploring its godly presence of nature. However, unknown to many, Himachal Pradesh also boasts of its interesting past and hence, it houses several ancient forts and age-old buildings, which tell every traveller about its historical significance. Have you ever been to Himachal Pradesh to explore its rich history? If not, then you must plan a trip to Arki Fort, which is one of the most beautiful gems in the state and hence, cannot be ignored by any traveller. It is the time when you will definitely start watching Himachal Pradesh as the state of natural as well as historical significance. Being located amid the lush green hills and the beautiful town of Arki, the region in and around the fort experiences a pleasant climate throughout the year and hence, it can be visited anytime during a year. However, if you are also looking to explore the luxuriant plains and hills of Arki along with studying about Arki Fort, then the best time to visit is from September until the end of March. Located at Arki in the Solan district of Himachal Pradesh, Arki Fort is said to have been established in between the 17th and the 18th centuries during the reign of Rana Prithvi Singh, when Arki was the capital of the Baghal State, which was ruled by the Ranas and Rajputs of that time. However, later on, it was conquered by the Gorkhas in the early 18th century, who used it as their base camp to spread their kingdom in Himachal Pradesh. Built at an elevation of about 4100 ft, Arki Fort is one of the magnificent forts, which narrate the glorious and miserable past of the state. Even though it is acting as the official residence of the descendants of Arki kings, you can still capture its captivating beauty on your camera. Surrounded by sky-high hills covered with rich vegetation, the environment of Arki Fort is all set to take you back in time. Arki Fort is an ancient marvel which must be explored by every traveller, especially history lover, on account of its appealing structural formation and beautiful architecture. The major building to witness within the boundaries of the fort is Arki Palace, which is a fine work of artistry, considering its beautiful arches. 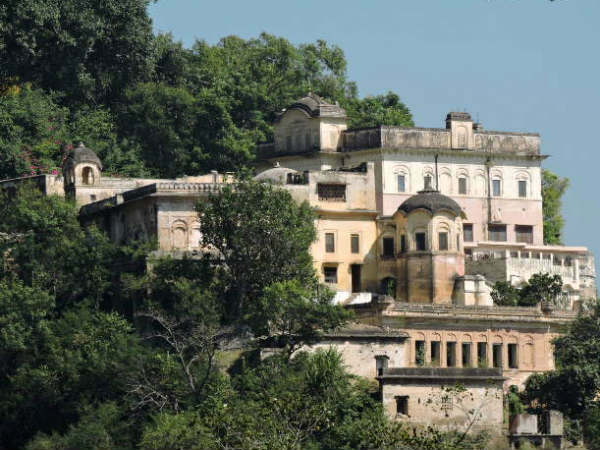 Apart from its commendable location amidst lush greenery, Arki Palace has its speciality lying in unimaginable Kangra paintings, which depict certain sequences from the mythological era and rich history and culture of the region. You can find these paintings all over its walls and ceilings, which still seem to be intact with their original colours, without getting faded over a period of time. Wouldn't you love to capture such a speechless beauty? Even though there is a lot within the boundaries of Arki Fort which can certainly keep you busy throughout your trip, it is still advisable to explore the beauty of this hill town. There are a number of places in Arki which will certainly allure you. These places include Lutru Mahadev Temple, Dhundan, Baniya Devi, Shiv Guffa and Devdhar Temple. As the region of Arki is rich in natural beauty with the presence of forests and hills, you can also go trekking and camping here. By Air: The nearest airport from Arki is located in Shimla at a distance of around 40 km. From the airport, you can hire a taxi to reach Arki Fort. It will take you an approximate time of 1 hr to reach your destination from the airport to the fort. By Rail: There are direct trains available to Shimla. You can catch a train to Shimla Railway Station and then from there you can hire a cab to Arki Fort. By Road: Located in the vicinity of Shimla, Arki Fort is easily accessible by road from nearby cities and towns.